President Donald Trump tweeted in the early hours of Tuesday morning about new Rasmussen polling data that finds his approval rating around 46 percent -- using it as an opportunity to call out "fake news." Rasmussen polling data has traditionally been more favorable to the president than many other polls -- but also has his disapproval at 53 percent in the same survey. "One of the most accurate polls last time around. But #FakeNews likes to say we’re in the 30’s. They are wrong. Some people think numbers could be in the 50's. Together, WE will MAKE AMERICA GREAT AGAIN!" Trump wrote in the tweet, sent as he is wrapping up his trip in Asia. Most other outlets -- including Gallup -- show Trump's approval rating in the high 30-percent range. 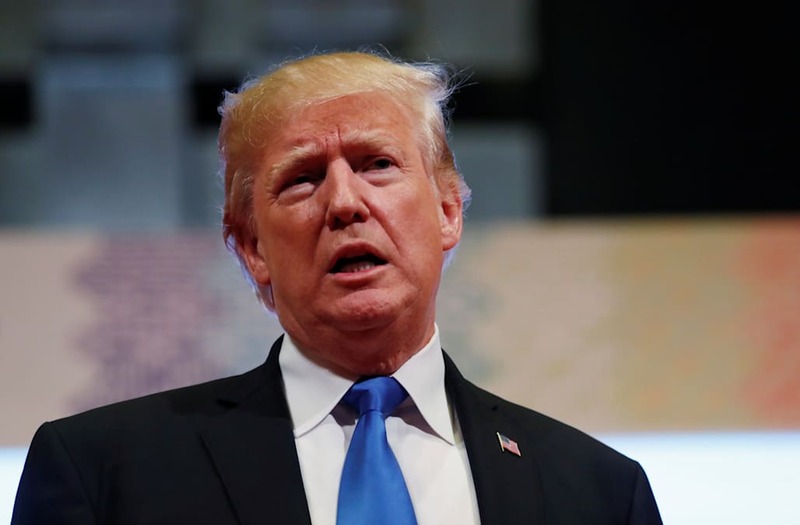 His approval ratings have hovered in that range, occasionally cresting over 40 percent for a few days at a time, for most of his time in office and especially over the last six months. The more favorable reporting from Rasmussen last recorded his approval rating at 50 percent in mid June, having stayed below that mark ever since. The Rasmussen data has also shown consistently that a significant portion of Americans have strongly disapprove of Trump's job performance over that same period. Since June, the percentage of Americans who strongly approve of Trump has hovered between about 25 and 30 percent, where the percentage who strongly disapprove has hovered between 45 and 50 percent. The data over the last few days has shown an uptick in support, with those strongly approving jumping from 25 to 30 percent and those strongly disapproving dropping down to 44 percent. That gives him a "Presidential Approval Index rating" of -14. A separate survey from the same outlet released on Monday found that 33 of Americans think the country is on the right track while 61 percent think it's on the wrong track.